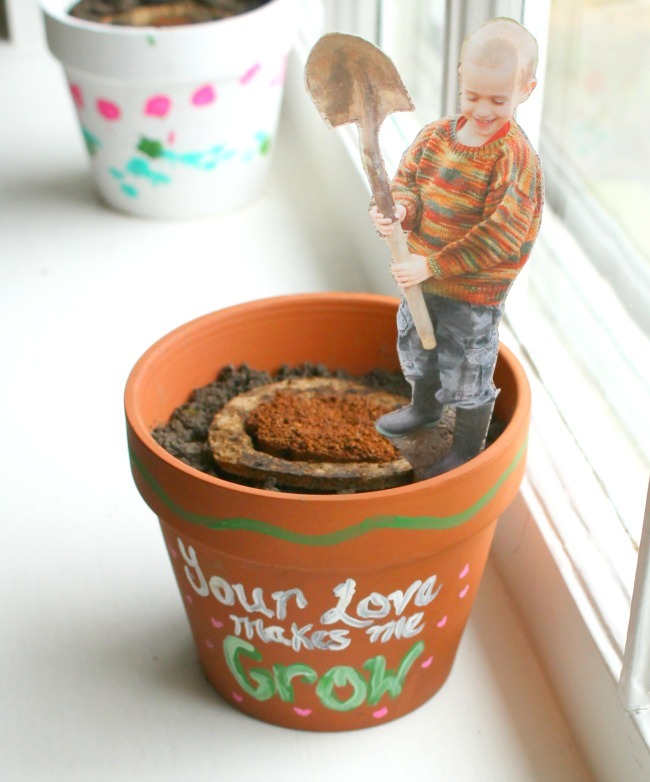 I am so excited to partner with Miracle-Gro and the Gro-ables Project to bring you this adorable idea to get your little ones outside and growing! I love gardening and I love bringing my little ones into the garden with me. Well, I try hard to love it. I try hard to embrace those tiny hands wanting to help and dropping a billion seeds into one hole. Those tiny feet stepping all over those seeds that Mama managed to sprinkle just so. Ahem. But I have an exciting solution to share – these Miracle-Gro Gro-ables! 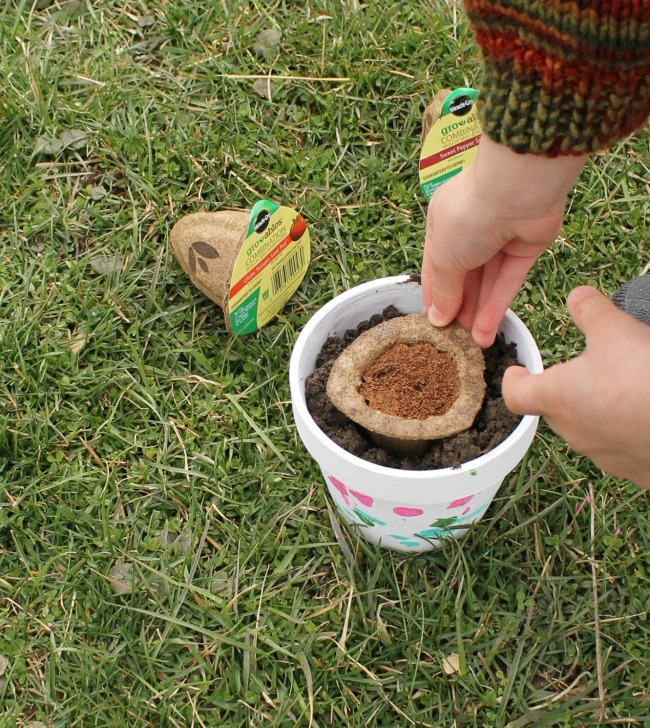 Each seed pod is all set for little hands to plant and guaranteed to grow. How perfect is that? I am excited to introduce you to the Gro-ables Project: a movement to share the joy of growing herbs and veggies while giving kids truly hands-on learning experiences. You are invited to join this movement by planting your own Gro-ables and sharing your story right here! We received a bunch of different seed pods and the kids were thrilled — as was I, in fact. Tomatoes, zucchini, eggplant, basil, and cilantro – all guaranteed to grow. Absolutely perfect for my toddler who has yet to perfect his green thumb. 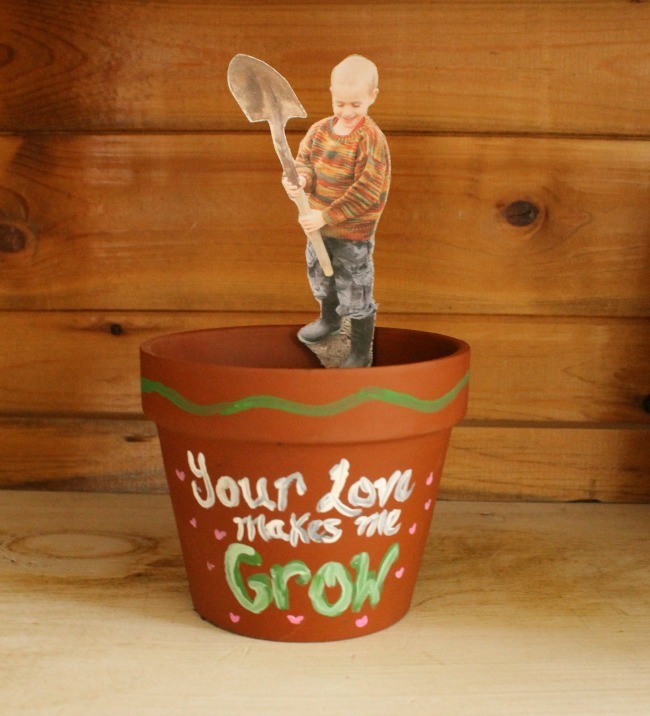 With Mother’s Day sneaking up soon, and the end of school just there after, I thought we should make some planters and give a few of these Gro-ables away as gifts. And this gift is sure to make any Mama melt. I spent a lot of (like, way to much) time deciding on a cute saying to put on the little planters before we headed outside to get painting them. There are so many cute possibilities! I decided on “Your love makes me grow” as it went so sweetly with the other little addition I had in mind for these Mama/Grandma/Teacher gifts. I wrote it myself on the pots, but if doing this in the classroom I would just attach a tag to each pot. Since we are finally seeing the sunshine and warm weather we decided to take our painting outside. That way my little ones could really get creative (and by that I mostly mean messy). I let them paint however they like. I suggested maybe some flowers or cute polka dots, and they suggested a combination of finger and splatter painting. They turned out beautiful all the same. While our planters were drying I took those little monkeys of mine into the garden for a photo shoot. With some gardening photo prompts we got some sweet pictures. And very, very muddy. But I am most certainly not complaining after that long cold winter! These are the pictures I will use to stick in the planter. Those Dollarstore terra cotta planters dry nice and quick. Within about half an hour they were all dry and ready for the seed pods. Since we were in the garden, and already pre-muddy, the boys scooped up some dirt for their planters. 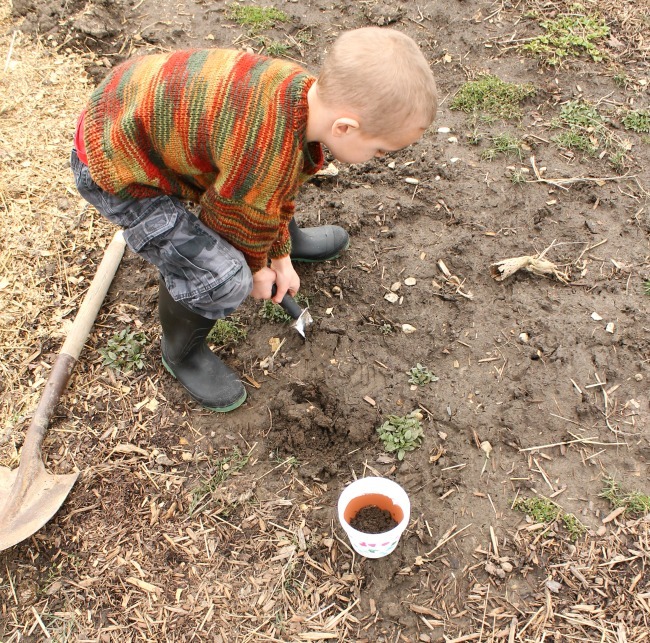 Once the planters had some dirt in them, the boys dug a hole in the middle the size of the Gro-ables seed pod. They planted their pods level with the soil. The seed pod already has potting mix and plant food, so all we did was add some water. 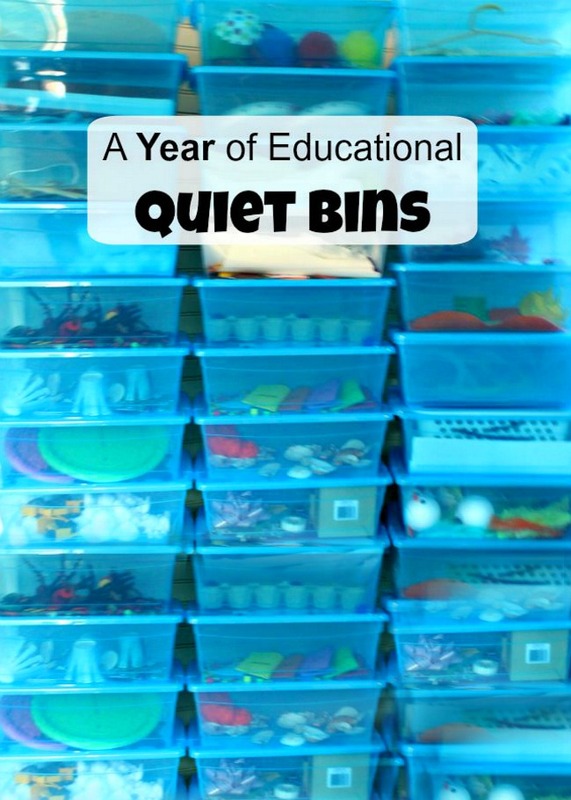 I love that they could do it all on their own – totally manageable for the classroom. Are you ready to try Gro-ables with your little ones or class? Pop on over to visit the GroablesProject.com, and join the movement! 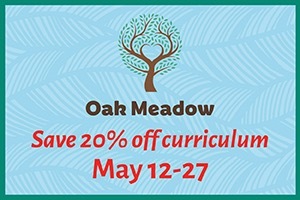 Let’s get our little ones growing! I’d love to hear any tips you have on gardening with your little ones, please leave me a comment to let me know. Your planter is so cute! This is absolutely adorable! 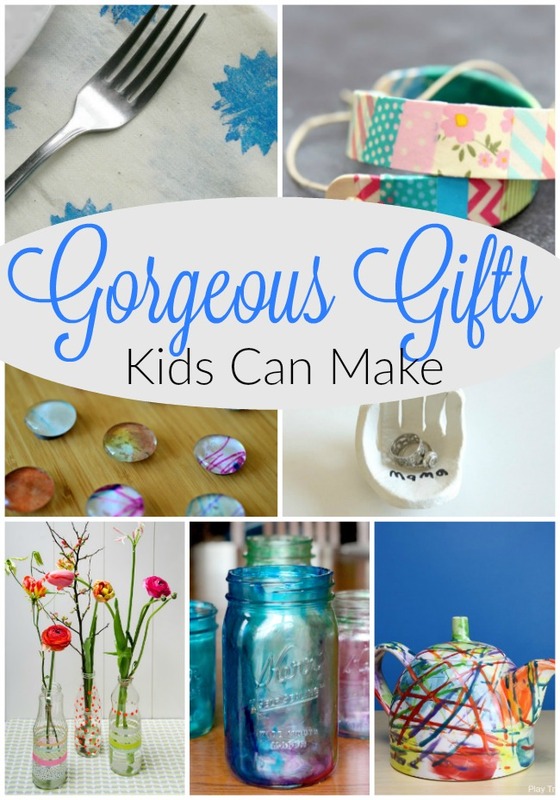 I’m going to gather my nieces and make this with them for my sister for mother’s day! Thanks for the inspiration! So happy you like it Sharon, Thank you for taking the time to let me know you will be using this idea with your little ones!